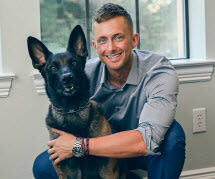 Clint received his Bachelor’s Degree in Political Science in 2009 from the University of Texas at Dallas, where he was admitted to the Dean’s List. Clint was originally recruited by UTD for his pitching skills, and acted as starting pitcher of the University’s baseball team. He received his law degree in 2012 from Texas Wesleyan University School of Law, in Fort Worth, Texas, where he received the merit scholarship and qualified for an elite fraternity for students in the top 30% of their class. While at Texas Wesleyan, Clint also served as Treasurer for the International Law Society. Clint is committed to professional development, and since graduating from law school, has qualified to become a member of the College of the State Bar of Texas. With a father who worked in the oil industry, Clint and his family lived abroad for many years. But having returned to The Woodlands, Texas for middle school and subsequently graduating from high school there, he has solid Texas roots. Clint’s ties to the DFW metroplex were forged by attending college in Dallas, law school in Fort Worth, and nearby family. Clint finds Denton County reminds him of his years in The Woodlands. While attending law school, Clint interned at Baker Hughes where he obtained a background in corporate and contractual law. He furthered his experience in mineral title and real estate matters working in the land and acquisitions legal department for XTO Energy, Inc. in Fort Worth. After obtaining his law degree, Clint worked as a closing attorney and a licensed escrow officer, handling both commercial and residential real estate transactions. Drawing on his real estate background, Clint has made various presentations on real estate matters to local chapters of the Board of Realtors and has been approved as an instructor for the Texas Real Estate Commission (TREC). Clint is a member of the Denton County and Flower Mound Bar Associations, as well as the Real Estate Probate and Trust Law Sections of both the State Bar of Texas and the Denton County Bar Association. Clint lives in Flower Mound where he enjoys the plentiful mountain biking opportunities and attending the Village Church. He spends his spare time traveling, cooking, playing sports, and running with his dog, Stryder.